We provide accurate, well-developed mortgage financing appraisals for home purchase loans, refinances and equity lines and for all loan types including Conventional, Jumbo, FHA and VA loans. We have assisted more San Diegan’s obtain financing than any other appraisal firm and ensure that we will do our part in making your financing process is as smooth as possible. An integral part of our practice is completing collateral assessments for the lending industry. 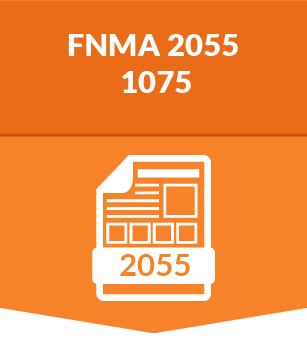 Our appraisals are available on all Fannie Mae/Freddie Mac forms and conform to their established guidelines. Additionally, our mortgage finance appraisals adhere to standard lender guidelines and Generally Accepted Appraisal Practices ensuring a fully compliant and marketable valuation accepted by most local, regional, and national lending institutions. We understand the strict appraisal guidelines enforced by the Veterans Administration and The Department of Housing and Urban Development (HUD) for VA and FHA-insured loans. Our familiarity with their requirements helps us form accurate estimates of market value with consideration of all additional appraisal requirements for health, safety and structural integrity of the home. For each appraisal we provide, we adhere to stringent ethical standards while meeting the unique needs of financial institutions. We are familiar with most major underwriting guidelines and individual lender requirements. All appraisals are developed with adherence to the Uniform Standards of Professional Appraisal Practice (USPAP). Our services are approved by more than 300 national wholesale and retail lenders, national and regional banks, community banks, credit unions and most AMC’s. We offer specialized appraisal services performed to the highest standards of professionalism and compliance to lending guidelines with a keen eye for identifying and addressing issues before they can develop into problems that impact the funding process. We’ve re-engineered the traditional GSE Form Report appraisal process with automation, analytics, and expertise. We utilize a proprietary valuation platform which allows us to conduct analytics and research not previously possible to improve appraisal quality thru technology and cut turnaround times in half thru automation and process. All GSE Forms are available using our platform. Exterior-inspection based appraisals used for a single-family residential properties and condominiums, commonly referred to as Drive-by appraisals. Developed leveraging our technology-assisted valuation process to produce appraisals with quantitative and qualitative support. Interior inspection based appraisals developed with two to three approaches to value. Produced by market specialized appraisers utilizing our interactive valuation platform and mobile data collection application produce appraisal more quickly and accurately. The 1025 GSE Appraisal Form is used for multi-unit residential properties; based on interior inspections and three approaches to value. Technology is merged with market expertise to produce accurate well substantiated opinions of value.